Human Air Ambulance Services are the foremost solution present in the genre of medical emergencies and it also includes Patient Transport Services. These services are extremely helpful in providing immense support to the local ambulance services in Bangladesh (Dhaka). It has been a well-known brand which has been providing tremendous Air Ambulance Services in Bangladesh since many years. It is due to our services like the Air Rescuers and the quick Air Ambulance Services that the patients are able to cover the long distances without any problem. Not only this, but the necessary medical services are being provided to each and every patient in our International and Intercontinental flights. It is a well-known fact that those patients who are suffering from cardiac problems need immediate treatment, which is not possible without air transfers. Our services ensure that each and every problem of the patient should be covered by us. 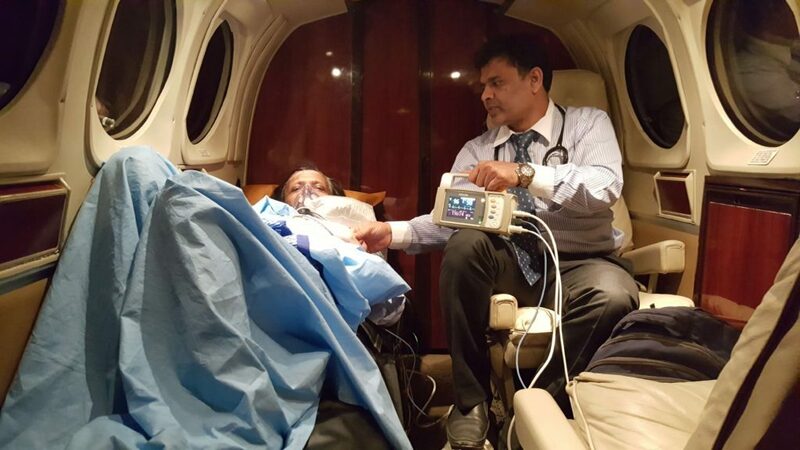 A recent medical survey has come with this solution that the fastest solution for the problem of patients is air ambulance than the transport services. If you are in the dire need of the best services then we are surely the best for you! Our company is being regarded as the best company for providing the solutions and showing immense dedication towards our job. We have a sense of dedication and selflessness in our work. We believe in bringing standards even in the smallest work that we do! For example, we provide air ambulance services even in the extreme services. If someone has met with an accident and does need the medical services on an urgent basis, we are there to help you out! We, the Human Care Air Ambulance Services provide even bed to bed transfer of patients from one place to another without any hustle and bustle. Our team consists of professional doctors who are capable of handling immediate relief to all the patients and they can do the best to the patients like restarting the heart. These are some of those advantages which are not available on the road transfer. What services Human Air Ambulance Company provide? The majority of our patients are immensely satisfied with our services as we leave no stone unturned in caring for them. We go beyond our limits so that every patient gets the desired treatments. This is the reason why we are being regarded as the best company in providing air ambulance services in Bangladesh Dhaka, Sylhet, Chittagong and around the globe.